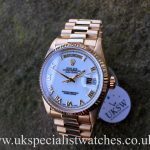 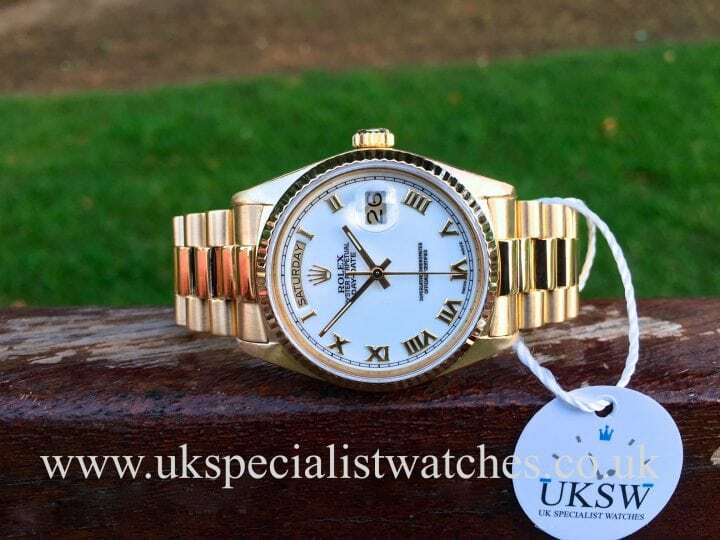 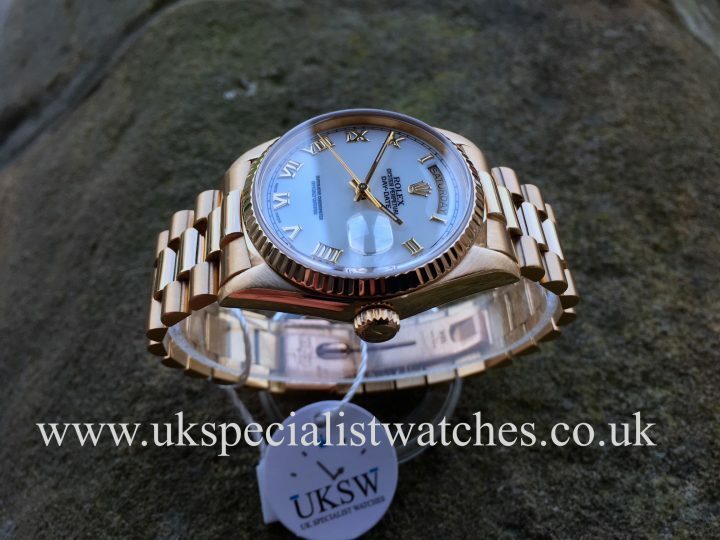 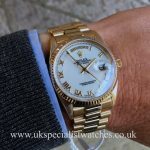 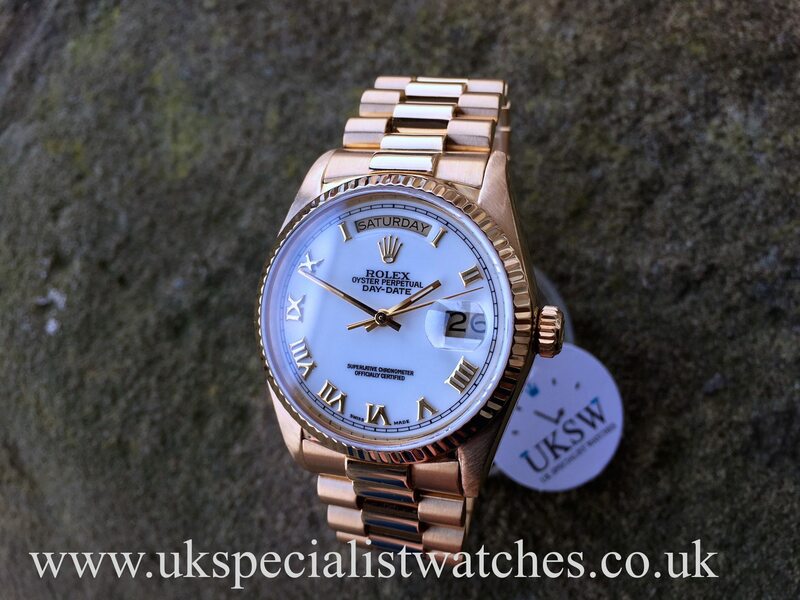 Rolex Day-Date President 18038 with a solid 18ct yellow Gold 36mm case, white roman dial with applied gold Roman hour markers and hands. 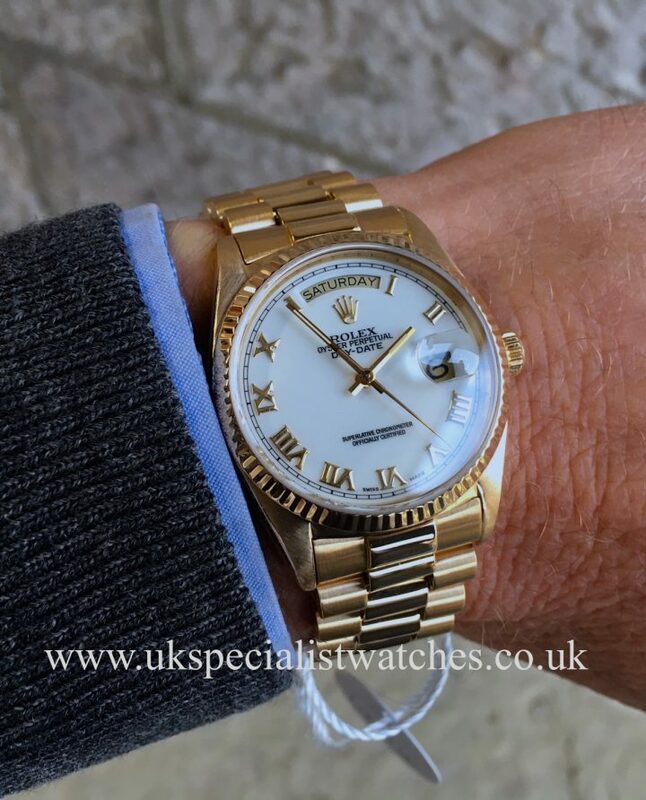 Date displayed at the 3 o’clock position with the Day at 12 o’clock. 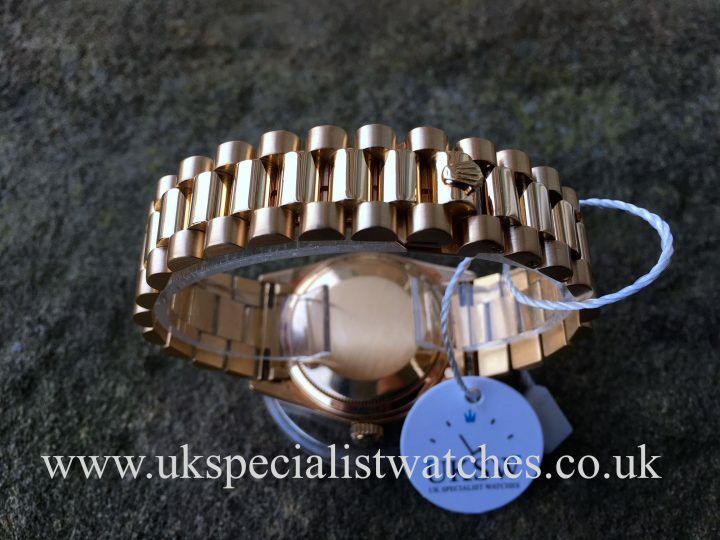 Solid 18ct gold fluted bezel and fitted to a solid 18ct gold president bracelet with concealed double folding clasp. 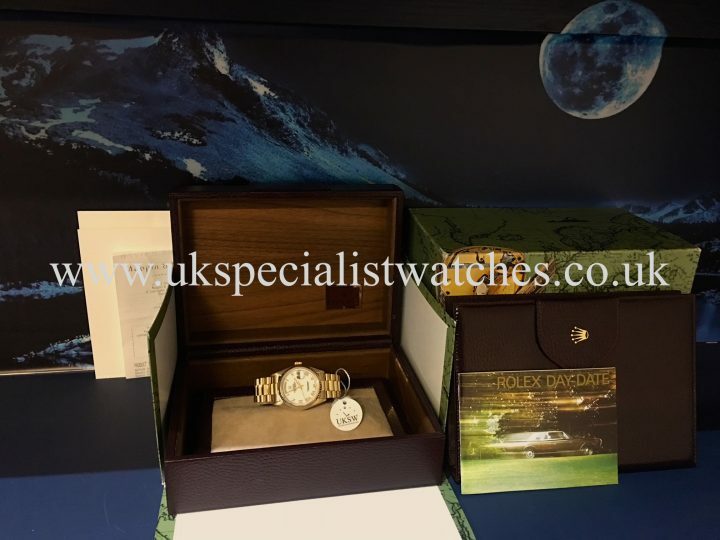 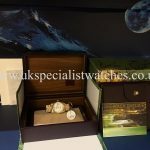 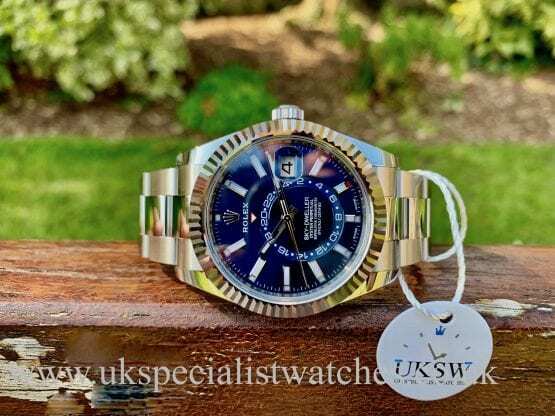 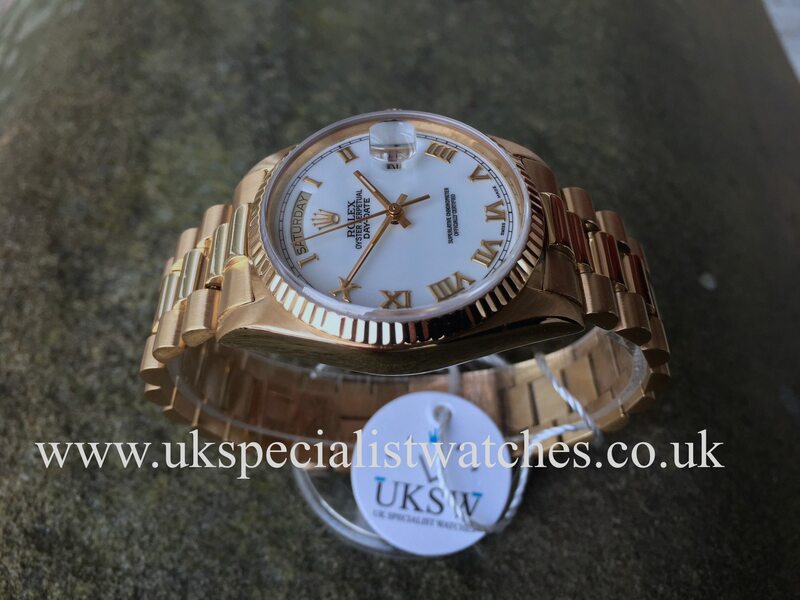 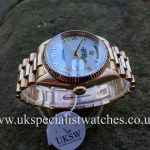 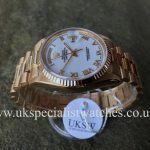 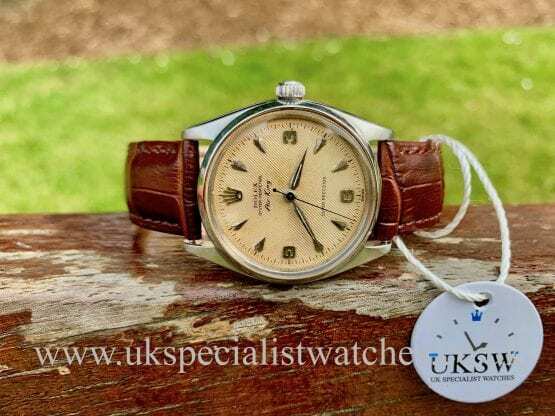 This watch was UK supplied in 1987 and comes with original boxes & Maplin & Webb service receipt (Authorised Rolex Dealer) Rolex leather note book and booklet. 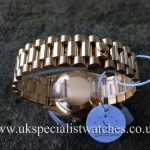 Supplied new in 1987 with the 983**** serial number.